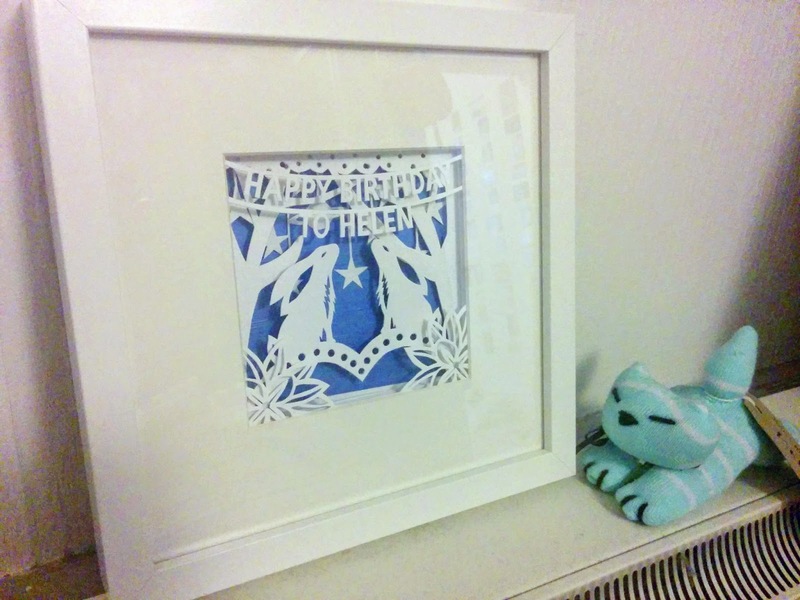 My cousin loved her Special Space Bunnies Edition Birthday Card so much that she framed it! She did a wonderful job, it's perfect! I did suggest she remove the lettering, as it's on a separate layer, but she was exceptionally happy with it being her birthday all year round! My aunt can print onto fabric. She made me this cute personalised keyring!